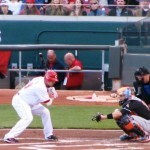 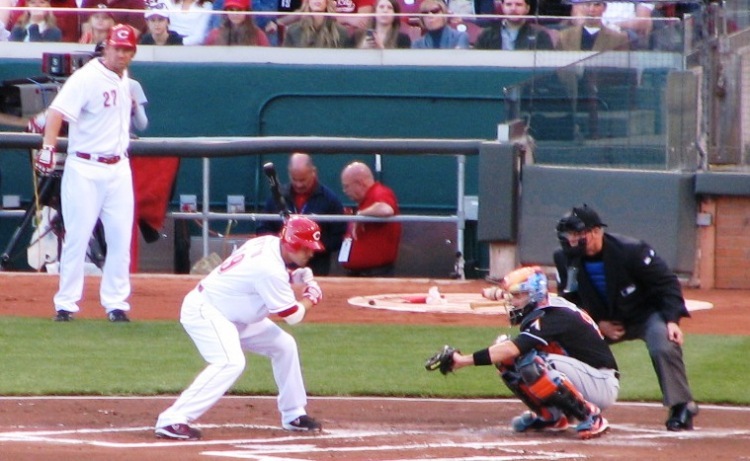 Here are some pictures taken from Saturday’s Opening Night game between the Cincinnati Reds and the Florida Miami Marlins. 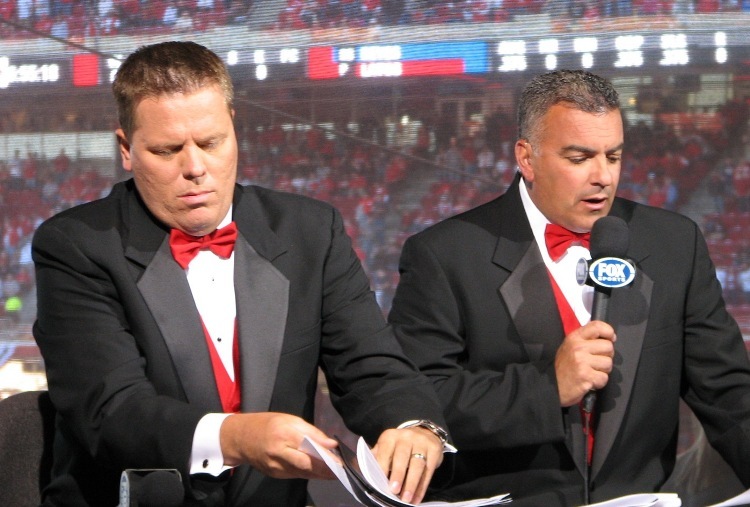 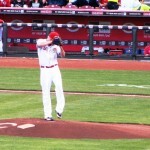 Although the Reds lost 8-3, the club put on an excellent event, one that I think surpasses Opening Day. 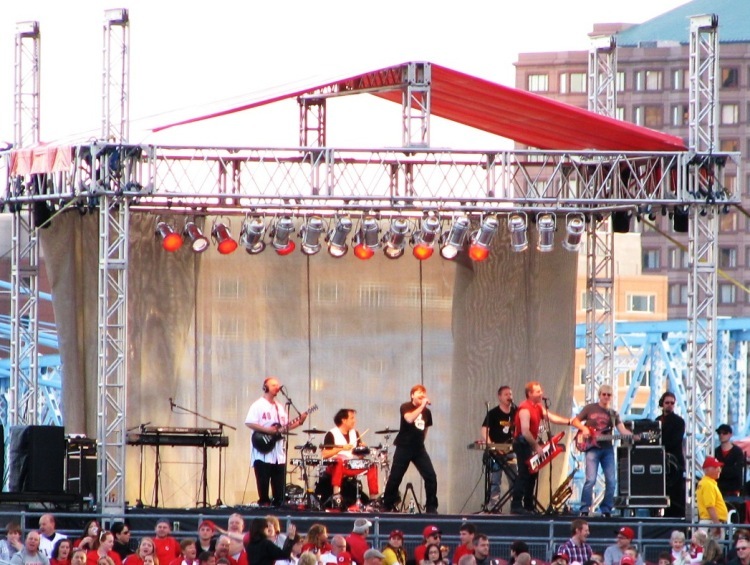 At least, I had a lot more fun. 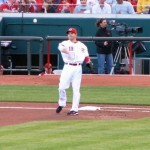 Joey Votto throws a grounder to second before the game started. 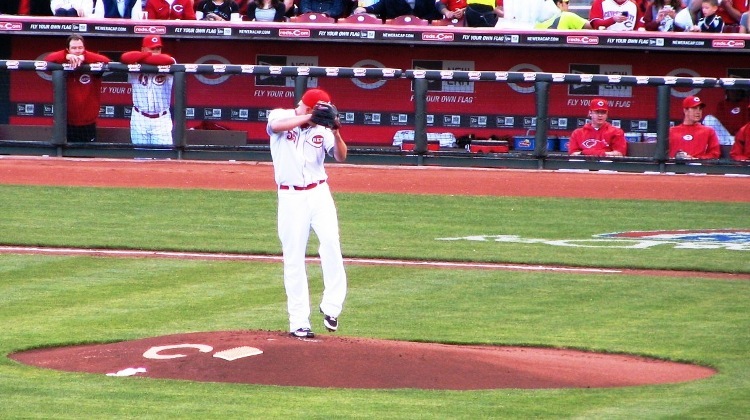 Mat Latos throws his first pitch as a Red on Opening Night. 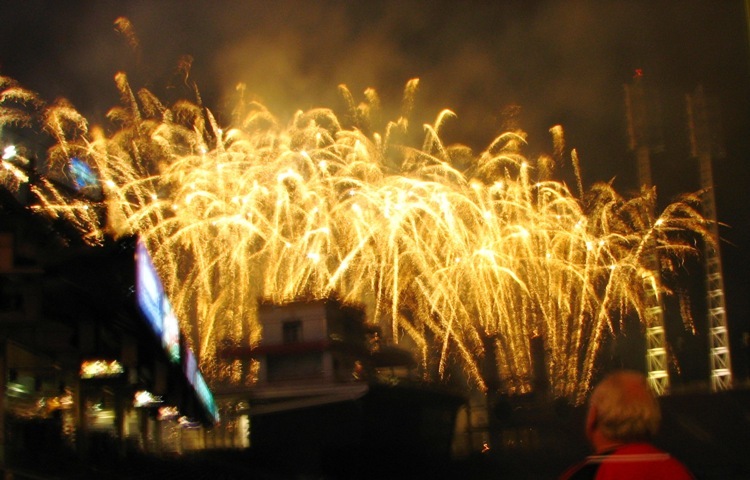 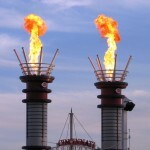 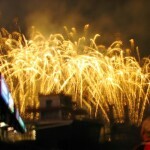 New for 2012: the center field smoke stacks emit bursts of flame everytime the Reds strike out a batter. 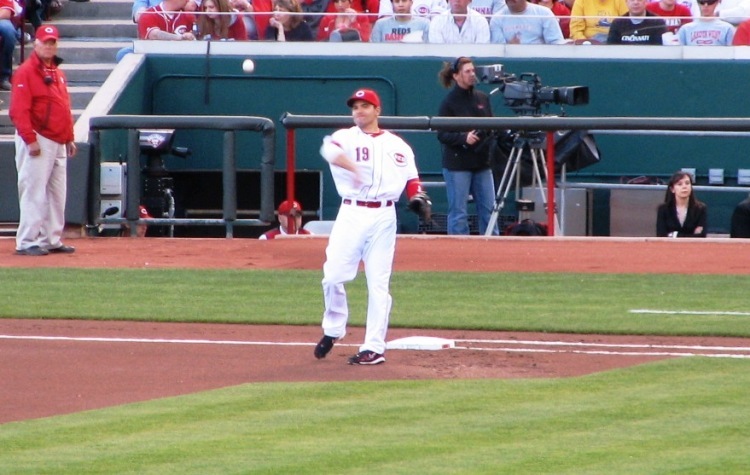 Joey Votto takes a ball during his first at bat on Opening Night. 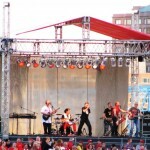 The Rusty Griswolds, an 80s cover band, performed between innings and during the fireworks show. 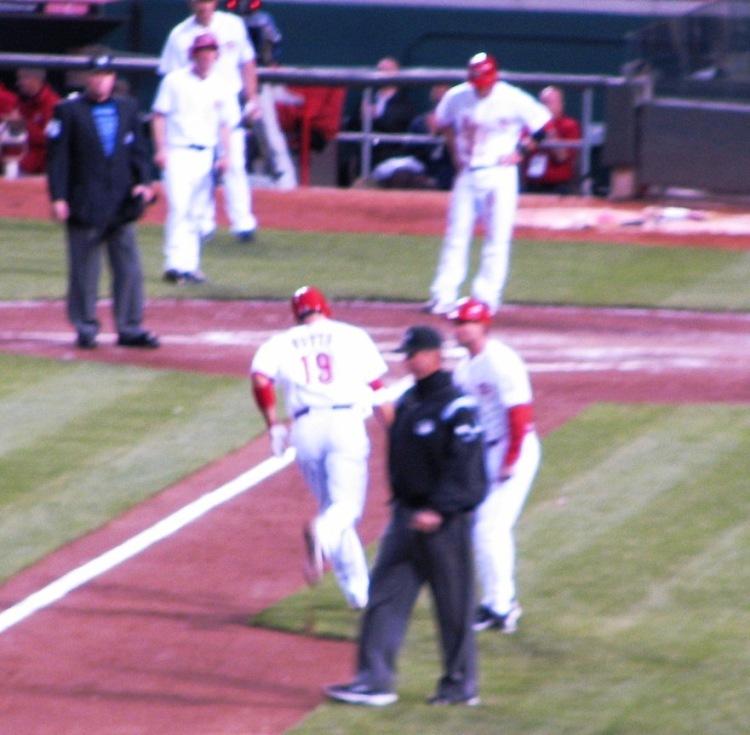 Joey Votto rounds third and high-fives Mark Berry after his home run. 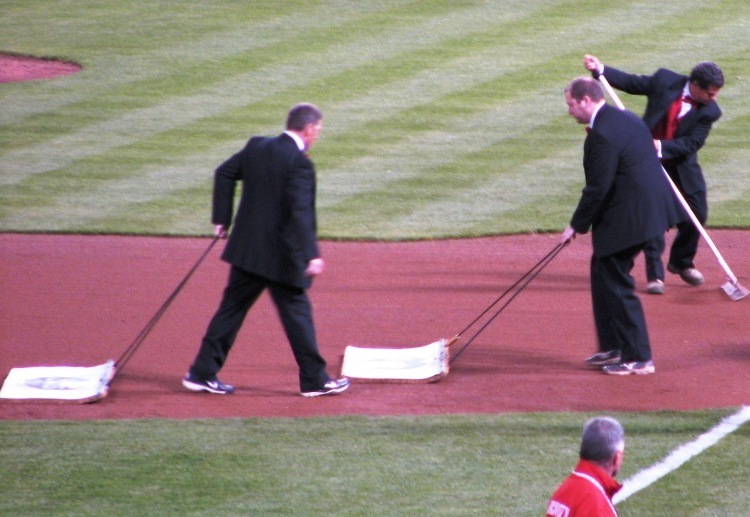 Like the FS Ohio crew, the grounds crew dressed up, too. 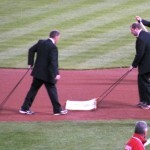 Pictures from the Red Carpet meet and greet event prior to the game will be coming tomorrow.